Category: Books, Ancient Wisdom Tags: ancient teachings, history, traditions, samurai. Antony Cummins and Yoshie Minami have brought the teachings of the famed samurai school Natori-Ryū back to life through The Book of Samurai series, and present the lost arts of the samurai in the English language for the first time. 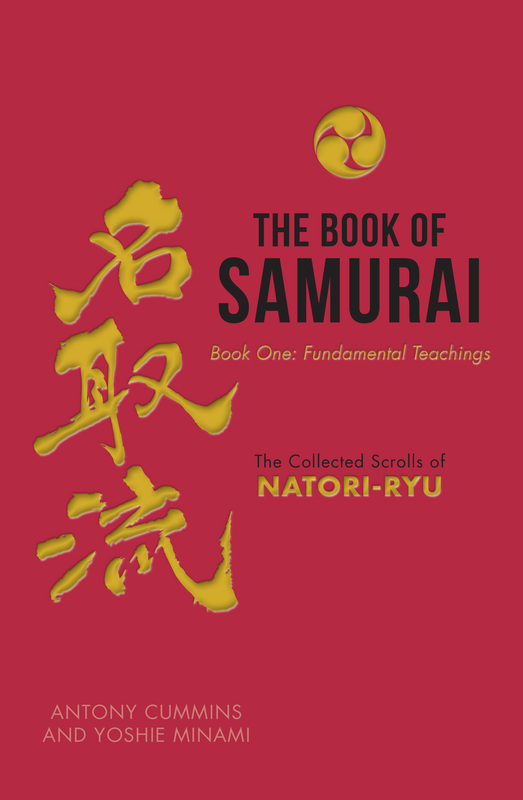 BOOK ONE is a translation of two secret scrolls and establishes the Fundamental Teachings of a samurai student, revealing the basic traditions of Natori-Ryū. The first scroll, Heika Jōdan, contains 290 lessons that define the baseline for samurai during times of peace, a time which is considered as preparation for war, focusing each student on expanding their own ability and conduct, giving them the mind-set needed for any battles to come. The second scroll, Ippei Yōkō, moves the student onto the field of battle, giving them an understanding of what is expected of them during a campaign of war and providing the necessary guidance for samurai who are to take up arms for the first time. These first two Natori-Ryū documents are an in-depth and detailed account of the practicality of samurai warfare, opening up the lost world of these Japanese warriors to all modern readers.